California releases new guidance that all new homes have to be built with rooftop solar; Decorah, Iowa’s vote on municipalizing their electric utility falls just short of a positive outcome; new analysis details the benefits of transitioning the Boston metro-area buses to an electric fleet; and a Minnesota group makes the economic case for renewables. Starting in 2020, virtually all new homes in California will be required to incorporate advanced efficiency measures and rooftop solar — in an historic development for clean energy in the state. The California Energy Commission (CEC) voted unanimously to adopt the policy today as part of the state’s Building Energy Efficiency Standards, following more than two years of work with a wide range of stakeholders to develop the technical requirements. Opponents of a municipal utility campaign in Decorah, Iowa, held a four-vote lead late Tuesday with at least 15 ballots uncounted. Official results were not expected until Monday. Environmental advocates, medical professionals and members of a public interest group are calling on the MBTA to switch completely to electric buses, saying the transition is necessary to protect the health of residents and the environment. “The majority of America’s buses remain dirty — burning fossil fuels like diesel that put the health of our children and communities at risk and contribute to global warming,” stated the report released Thursday by the Massachusetts Public Interest Research Group (MASSPIRG). The MBTA fleet includes diesel, compressed natural gas and diesel-electric hybrid buses. MASSPIRG is asking for the transit agency to transition to 100 percent electric buses by 2030. Clean Energy Economy Minnesota in its second year has raised its profile at the State Capitol, including forging relationships with rural and suburban conservatives. State Sen. Eric Pratt, a suburban Republican from Prior Lake, said he was surprised to learn from the group how many companies across the state work in the clean energy industry. A newcomer to the energy and utilities committee, he said he’s not afraid to fight legislation, even from his own party, that could hurt the industry. Many low-income individuals and families are finding it increasingly difficult to rent apartments (see here and here), but energy efficiency and solar energy can help save affordable multifamily housing. Our new report, Our Powers Combined: Energy Efficiency and Solar in Affordable Multifamily Buildings, shows how building owners are combining energy efficiency upgrades and rooftop solar systems to reduce energy use and lower their energy bills. These upgrades enable housing providers to devote more resources to preserving and expanding affordable housing, while also improving the health and well-being of building residents. 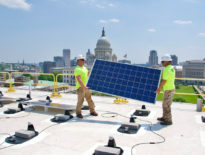 In this interview pv magazine speaks with Vote Solar Northeast Regional Director Sean Garren about the new legislation which has passed both houses of the Connecticut legislature, and what to expect now. 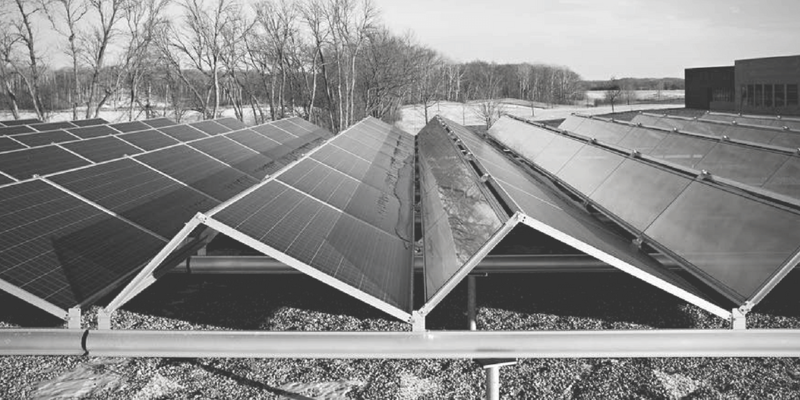 And, perhaps most promising, the expansion of solar in Minnesota, Illinois, and other states has been so rapid, federal regulators are moving quickly to update rules around distributed energy resources. As homeowners and businesses add on-site electricity generation and storage, a new set of questions and policies must be addressed. On April 18, the Michigan Public Service Commission approved a distributed generation tariff that replaces net metering, a 10-year old program that credits customers — most often with rooftop solar panels — with retail rates for their excess electricity sent back to the grid. The new prices will vary by utility but will be lower than retail rates, feeding the ongoing debate about the net value rooftop solar customers provide to the grid. It was still unclear what the new prices will look like, when they will take effect, or even if they will, as lawmakers mount an attempt to restore net metering. Solar installers, therefore, haven’t had answers for customers seeking to understand the payback period of installing projects. These solar panels on top of the state Department of Administration building are part of a new solar array that includes a total of 900 panels across three state buildings. State officials said a new array of 900 solar panels on top of the state Department of Administration, Department of Transportation and Department of Health buildings will help the state make even more progress. The solar panels have been generating electricity for the buildings since the beginning of this year. They reduce the amount of electricity the buildings need to pull from the regional electrical grid. Activists are trying to increase renewable energy mandates through ballot initiatives in three states this year. Utilities in Michigan, Arizona and Nevada, however, already have undertaken extensive renewable energy programs. And, while renewable portfolio standards may have helped fertilize the seeds of an emerging industry a decade ago, some leaders do not believe these types of political campaigns, driven by out-of-state interests, are necessary today, or that it is particularly wise to engage in what would ordinarily be complex energy policy and planning at the ballot box. Offshore wind’s value along the east coast ranges from $40/MWh to more than $110/MWh. It is lowest in the south-east of the country. The historical market value of offshore wind, using 2007-2016 data, would have exceeded onshore wind’s, said the researchers. This is due to the proximity of offshore wind sites to major cities such as New York, and because the timing of power produced is more correlated with demand. Companies are buying renewable power at a record pace. AT&T Inc. and Walmart Inc. are among 36 businesses, government agencies and universities that have agreed to buy 3.3 gigawatts of wind and solar power so far this year. That’s on track to shatter the previous high of 4.8 gigawatts of disclosed deals last year, according to a report Monday by Bloomberg New Energy Finance. One of the key reasons is that smaller companies are more comfortable doing these deals now. 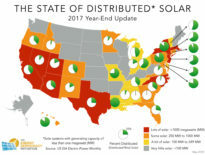 Those states haven’t tapped their massive solar potential, but are poised to surpass current No. 2 market North Carolina over the next five years. With all the buzz surrounding electric vehicles, officials are being faced with some new-to-them issues that must be addressed to maintain steady growth of the high-tech transportation. Amidst all of the noise and new car models, the public has begun to raise the most discussed topic to the front pages: What about the charging infrastructure? New initiatives from corporations and even local governments have begun to address this concern by placing electric car chargers at the places you frequent every day. Charging an electric car might be as simple as plugging it in, but the logistics of charging can be more complicated. Planning your daily commute around something which can take up to 86 times longer than filling up a traditional gasoline-powered car at the pump might not always work out as anticipated. And while many people who buy an electric car will be charging up at home, those whose homes lack the capacity to charge their car might seek public charging infrastructure as a means of juicing up their transportation. More Americans are becoming charged up about electric cars. A new AAA survey finds 20% of Americans say their next vehicle will be an electric car. That’s up from 15% in 2017, the first time that AAA asked the question.